I know I’ve mentioned it before, but we rarely eat side dishes in our house. That doesn’t mean we don’t eat our vegetables. Far from it. 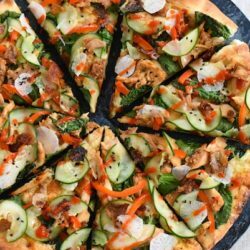 But as much as possible, our vegetables go into whatever entree we’re eating. 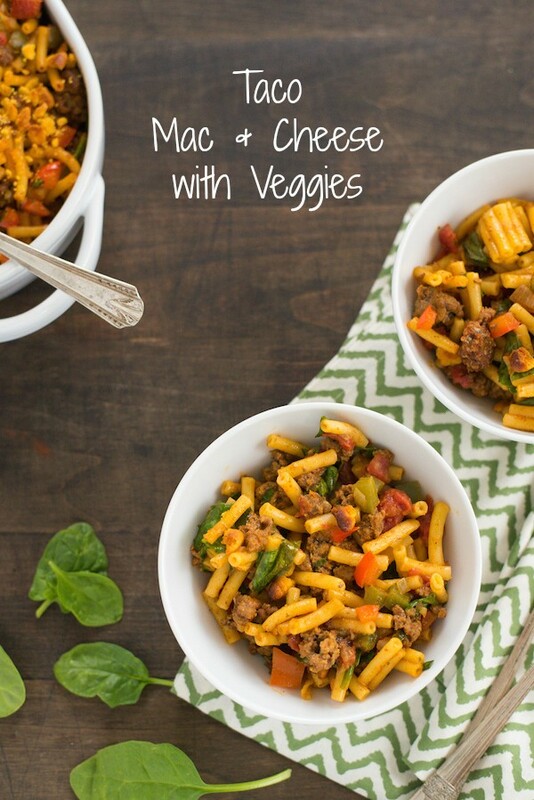 I guess you could say we eat like a couple of little kids – tricking ourselves into eating spinach by hiding it in more delicious things, like I’ve done with this Taco Mac & Cheese with Veggies. We especially like being able to scoop everything into our beloved “plowels,” as we call them (a cross between a plate and a bowl). I try to buy organic vegetables whenever possible, even if I’m going to sneak those vegetables into something else. 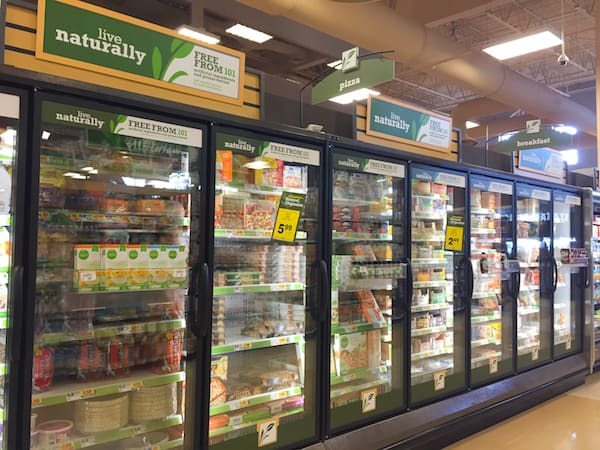 With more and more people shopping and eating organically, I really appreciate when grocery stores make it easier for people to quickly locate the organic products they like. 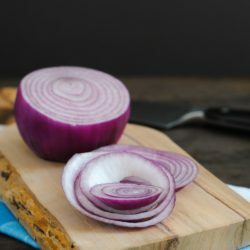 I recently stopped at a Kroger store and was very pleasantly surprised with the Natural Foods Department I found there. 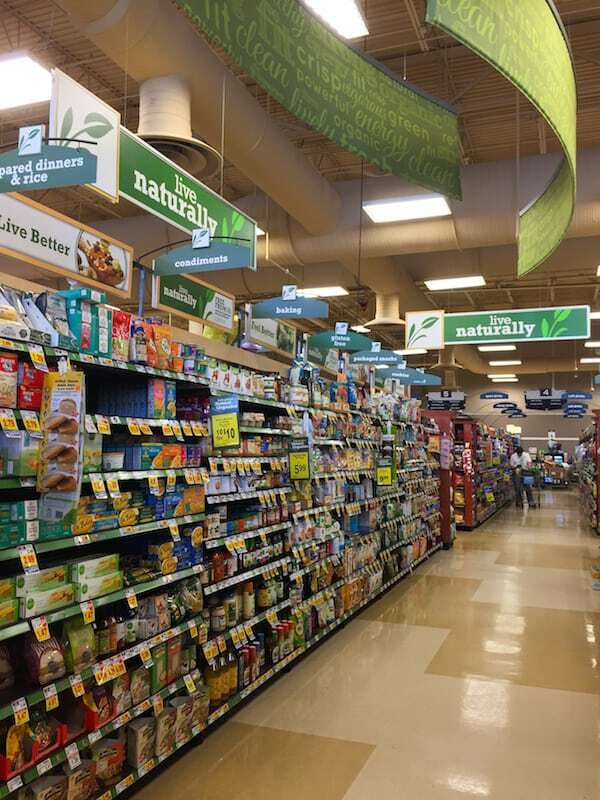 There was an entire (quite large) section of the store devoted to all natural and organic foods, including brands like Horizon and Simple Truth. 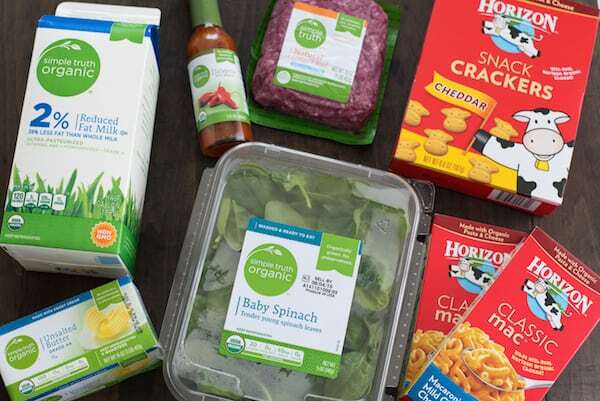 Instead of having to go through the time-consuming routine of hunting through the whole store to find the organic brands interspersed with the other brands, there were all right there waiting for me in the Kroger Natural Foods Department. 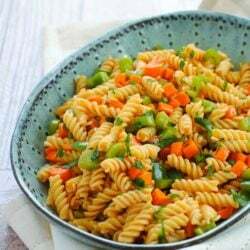 I was able to quickly and affordably stock my cart with natural and organic foods, then head home and create a dish that is perfect for kids and adults alike. I cooked up a couple boxes of Horizon Classic Mac, then stirred in ground beef that I browned with onions and red and green bell peppers. I also snuck some spinach and tomatoes in there! I added flavor with Simple Truth Jalapeño Hot Sauce and taco seasoning. Because I love mac and cheese that is oven baked with a crispy topping, I crushed up some Horizon Cheddar Snack Crackers, then quickly browned the dish in a very hot oven. Before I knew it, I was scooping this entree-plus-side-dish into my plowel and digging in! Please visit visit Kroger’s Inspired Gathering for recipes, DIY & décor, tips & tricks, and cleaning hacks. Preheat oven to 425 degrees F. Prepare macaroni and cheese in large pot according to package directions, using milk and butter. Meanwhile, heat large skillet over medium-high heat. Add beef, bell peppers and onions and cook 8 to 10 minutes or until beef is cooked through, breaking up meat with side of spoon. Drain excess fat from skillet. 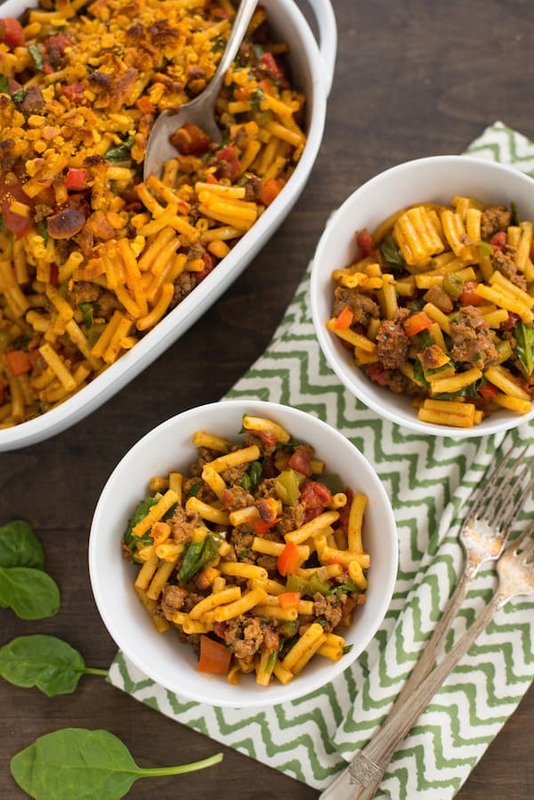 Stir beef mixture, tomatoes, spinach, taco seasoning and hot sauce into prepared macaroni and cheese. Lightly spray 2-quart baking dish with cooking spray; transfer macaroni mixture to prepared dish. Sprinkle with crushed crackers. Transfer to oven; bake 8 to 10 minutes or until top is lightly browned. This conversation is sponsored by WhiteWave Foods. The opinions and text are all mine.